This pair of eardrops is made of Chinese jade and silver. On each eardrop is a Chinese symbol for "good fortune". 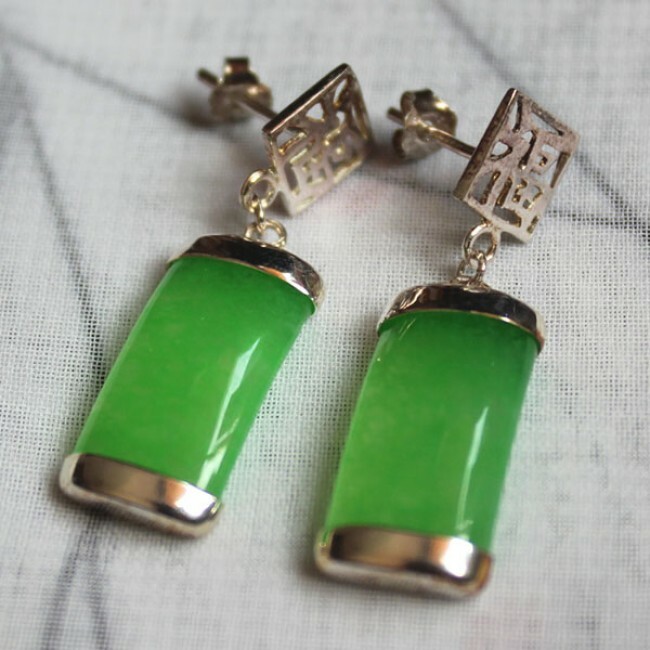 925 sterling silver and Chinese jade, 1.3" (3.2 cm) in height. Gift box included.